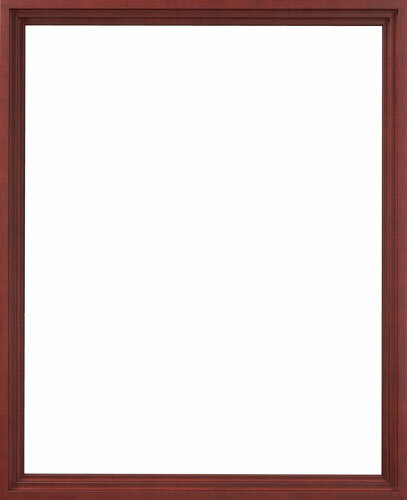 Say yes to the elegance and warmth of this canvas floater picture frame with a warm cherry finish. It has a deep rabbet to suspend and separate your canvas art up to a 3/4”, giving you a stunning gallery presentation. Made in America from natural wood by Artisans. as described. I wish I had not added quite as much a gap between the canvas and frame, but that's my own misjudgment and it's really just me being particular. Pleased with the purchase. This was the perfect frame for a particular painting. I couldn't have found anything nicer. Excellent quality! Speedy service! Reasonable cost! Happy customer! 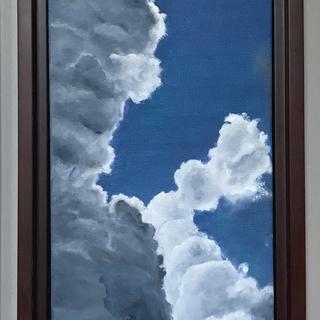 This cherry frame was perfect for my small cloud painting and fit perfectly. The price was less than half what local farmers wanted to charge for a floating custom frame. It’s a winner! 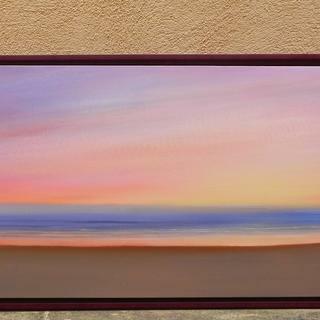 I got this Cherry floater frame for a vivid sunset original painting and it's the perfect color for it! The size was exactly right and the finished work looks great in this minimalist frame. I will buy this floater again, in other colors as well. "The glory of now" original oil on canvas 48 x 18" . wanted red toned frame for my painting. simple. Nice color. Hopefully easy to mount canvas painting I received as a gift. I want to bring out the red in the print. The cherry enhances the lighter paintings and make them stand out. It's the perfect frame for the canvas print I have. I am hoping it matches the wood trim in the room where I am hanging the picture and it is a canvas frame with a little twist. Prefer floaters for my paintings because of their simplicity and ability to focus attention on the artwork not the frame. Color works with a particular painting. What kind of equipment is needed to frame with a floater and how is the back of a canvas dealt with? BEST ANSWER: All framing equipment -- screws, brackets, wire, and D-rings -- and framing directions are included with this frame. Basically, all you will need is a screw driver. I use a battery-powered drill, and a measuring tape for precision on large frames. The wood canvas stretchers are what you attach with the provided brackets into the frame. When you frame a stretched canvas, you put the painting face down on a flat surface and place the frame upside down on top of it. Then you can attach the painting to the frame with the materials provided. In this case, I had the framing equipment in my studio but it would be good to have two "stepped" metal canvas floater attachments. After the painting is framed, I back it with brown paper for a clean, professional appearance. Stretched canvas can be placed into a floater frame and attached with the provided brackets. The back of the canvas is left open unless you decide to cover it with paper or other finishing material. screwdriver and 7/64 drill. the frame comes with all the hardware needed. the back of the canvas is held in place by spring-clips that are included. All you need is a phillips screwdriver. The 4 clasps are offset to screw into the back of the frame and back of the canvas. Very easy. If I remember correctly, all you need is a screwdriver. Floater frames come with an instruction sheet and are simple to put together. The frame comes with "L" brackets that screw into the back of the stretcher bars and clamp the frame in place. Do the custom frames come with glass? BEST ANSWER: Hi, this cherry canvas floater frame does not accommodate glass/acrylic. It is specifically designed for stretched canvas. Our non-floater frame offerings do not come with glass/acrylic unless otherwise noted when you click on the frame. You may add our clear acrylic front along with foam backing to an appropriate frame if needed. We hope that this is helpful. Happy framing! Hi, I have purchased this frame for my original American Folk art oil paintings. It’s a beautiful frame and the paintings don’t require glass. Good luck with your choice. The floater frames are for canvas prints and do not come with glass. My canvas is 2mm thick would this frame work? BEST ANSWER: I'm assuming your canvas is a panel of some sort. Because of its thinness, you won't be able to screw the provided attachment brackets to the back side of your painted panel. You could epoxy the brackets to your panel or come up with an alternate means of securing the panel to the frame. See the cross section of the frame on the manufacturer's web site or booklet. Hi Ashley. The frame has a depth of 3/4", therefore, your canvas would need to be equal or less than this to be able to fit into the frame. Thank you! 2 mm is pretty thin. I would not use this frame for a thin painting, as the frame might overpower it, but then that's just my opinion. 2mm is pretty skinny. You will probably need some kind of specialized hardware to secure the canvas to the frame. My canvas is 3/4” deep and the edge is unpainted. Will that unpainted edge be visible in the floater frame? BEST ANSWER: Hello! 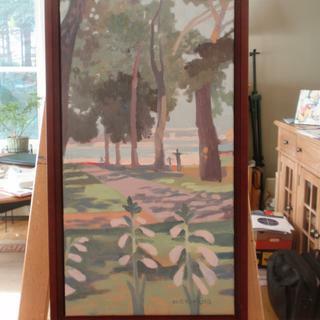 The depth/rabbet of the frame is 11/16" which will expose the sides of the canvas. You may want to consider the CFL8 frame instead. Thank you for your inquiry! Can I use this frame for a photo mounted on foam core? BEST ANSWER: Thank you for your inquiry Dawn. This frame is designed to support canvas and does not work with a Photo mounted on foam core. Please let us know if you have any additional questions. Happy Framing! Thank you. The foam core is 1/2" thick. Dawn I do sincerely apologize. The CFS8 is for Canvas Only. 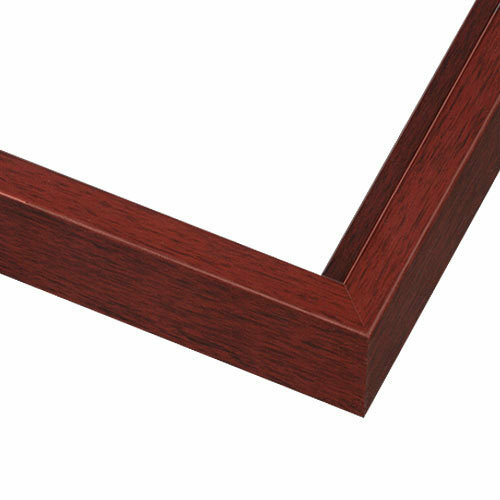 A better choice for your photo mounted on foam core is the HPM3, see here- https://www.pictureframes.com/Custom-Frames/Contemporary-Wood-Finish-Picture-Frames/HPM3-contemporary-red-mahogany-frame. Dawn I do apologize but the CFS8 is designed to support a canvas only. A better selection for your photo mounted on Foam core is the HPM3- https://www.pictureframes.com/Custom-Frames/Contemporary-Wood-Finish-Picture-Frames/HPM3-contemporary-red-mahogany-frame. My canvas stretcher is only 1/2 inch and the floater depth is 11/16. Is there any way to bring it even with the outside of the frame? BEST ANSWER: Hello Connie! Thank you so much for inquiring about the CFS8 Floater frame. If you would like to make the canvas flush with the opening of the frame, you can add extra material behind the stretcher bars to 'build up' the depth. 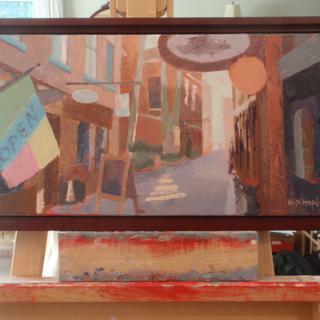 Otherwise, the canvas will slightly recess inside the frame by 1/8". You may not be able to visually tell the difference. If you have any additional questions, please let us know. Have a wonderful day!